Son of Aldace and Mary Ann (Baker) Walker, Aldace Walker (1842-1901) was born in Rutland, Vermont, on May 11, 1842. He prepared for College at Kimball Union Academy and entered Middlebury in 1858 as a member of the Class of 1862. Walker is legend in 19th century Middlebury history as the class valedictorian who arrived in his military uniform to deliver his valedictory address before leaving for the front. In what became a distinguished Civil War career, Walker rose rapidly through the ranks, from 1st Lieutenant, Co. B, 11th Regiment, Vermont Volunteers (8/13/1862), to Captain (11/30/1862), Major (6/28/1864), and Brevet Lieutenant Colonel (5/23/1865). Following his Civil War service, Walker attended Columbia Law School (1865-1868), and was admitted to the bar in 1868. He practiced law in New York City from 1868-1873 and returned to Vermont to open a practice from 1873-1887. He served as a State Senator from 1884-1885 and was President of the Vermont Bar Association from 1884-1885. Walker served as an Interstate Commerce Commissioner from 1887-1889 and resigned to become the President of the Interstate Commerce Railway Association in Chicago (1889-1892). He served as Chairman of the Western Traffic Association Commissioner of the Joint Traffic Association from 1892-1894, before moving on the Achison, Topeka, and Santa Fe Railway, first as Receiver (1894-1896), then as Chairman of the Board of Directors from 1896-1901. On September 6, 1871, Aldace Walker married Katherine Shaw, with whom he had two sons and one daughter. 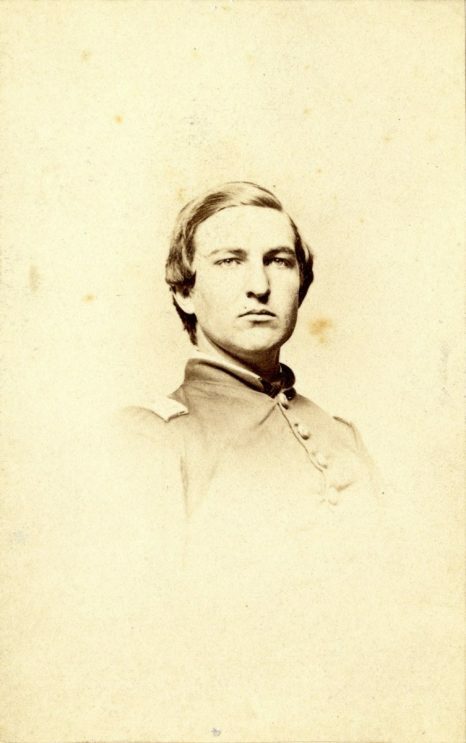 Walker authored The Vermont Brigade in the Shenandoah Valley, 1864 (1869), and his Civil War letters to his parents were published in 2002 as Quite ready to be sent somewhere: the Civil War letters of Aldace Freeman Walker, edited by Thomas Ledoux.